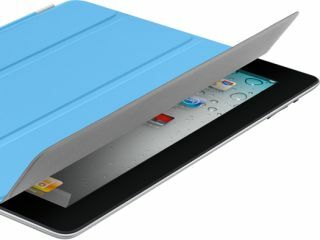 Will the iPad 3 feature a 2GHz dual-core Samsung CPU? Samsung revealed this week that it is planning to develop a 2GHz dual-core CPU smartphone at some point in 2012, with rumours suggesting that the iPad 3 may well make use of the same tech. Samsung has just announced that the Galaxy S2 will offer a 1.2GHz dual-core processor, but it's already talking about a 2GHz dual-core CPU phone, with processing grunt that puts it alongside many desktop PCs. "We are planning to release a 2Ghz dual core CPU-equipped smartphone by next year," said a Samsung rep this month, in no uncertain terms. "This product will have the data processing capabilities of a regular PC." Samsung currently produces Apple's A4 and A5 chips for the iPhone 4 and iPad 2, which has led a number of industry watchers to speculate that the next version of the iPad will feature Samsung's forthcoming 2GHz dual-core CPU. Samsung already produces the iPad 2's nippy dual-core 1GHz processor, which allows users to get around twice the speed and performance than they were able to from Apple's first-gen iPad last year. Might Apple and Samsung manage to double this speed again in 2012 with the iPad 3? Clearly, we are going to have to wait until early next year, at the very earliest, before we find out.